Whalen Tire – Lockwood opened their doors to the public on July 1, 2013 in the Lockwood area off Old Hardin Road. As we provide a local service to locals and the surrounding area; we fix and repair flat tires, sale new & used tires as well as provide light mechanical and automotive work on vehicles. From alignments, brakes, mechanical, pads, rotors, drums, shoes and shocks; we are your local source for tires and repairs. If we are not able to fix it at our location in Lockwood, we will use our Billings shop which has more resources to help fix and repair. Please continue to check with us as your source for vehicle and tire repair as we continue to add more services and products at our Lockwood location. Give us a call today for any questions you have at 406-969-4530. Whalen Tire opened for business in 1961. The company, owned and operated by Emmette Whalen and his family, has locations throughout Montana and Washington. When it comes to automotive products and services, Whalen Tire’s ability to service your vehicle is unmatched by the competition. We offer tires, oil changes, alignments, rotations, brakes, and batteries. 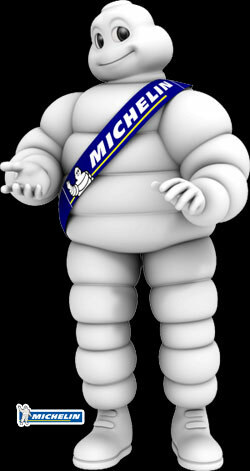 We sell nationally recognized tire brands Michelin, BFGoodrich, and Uniroyal. 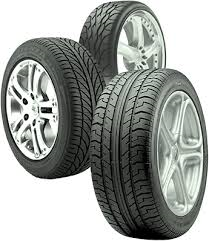 Whalen Tire is a full service shop for tire replacements or auto repair. Our large variety of products and services guarantee that we will become your favorite one-stop-shop. Our goal is to make things easier for our customers by offering only the best products available. We operate everyday with a “service first, quality always” approach. We have several locations throughout Montana and Washington. Our locations include Butte MT, Bozeman MT, Belgrade MT, Dillon MT, Missoula MT, Billings MT, Helena MT, Great Falls MT, Kalispell MT, Holiday Village MT, and Spokane WA. We are open Monday thru Friday 8:00am – 5:00pm and Saturday 8:00am – 12:00pm. We take great pride in the fact that we offer nationally recognized tire brands to ensure customers have the ability to choose from only the best. BFGoodrich, Bridgestone, Continental, Cordovan, Firestone, Greenball, Kumho, Michelin, Uniroyal and Yokohama are some of the tire brands we have available. We also carry a variety of commercial, farm, industrial and OTR tires. Our website features a Tire Size Finder. This allows customers the ability to browse our entire selection of tires from the comfort of their own home. To get the most out of your tires and ensure the most safety while driving, Whalen Tire offers a variety of services just for your tires. We offer retreading services, tire pressure monitoring systems, computer spin balance, flat repairs, low profile installations, and rotations (recommended every 5,000 miles). Whalen Tire isn’t just a tire dealer, since 1961 we have provided our customers with automotive repair services that are unmatched by any local competition. Get the most out of your vehicle and take it to Whalen Tire. Our technicians and mechanics are highly trained and will work on your car like it’s their own. We offer general repair services and many other auto services including: Axle/CJ joint/driveshaft repair, belts & hoses, brakes, starting/charging batteries, 4WD systems, lube and oil change, steering and suspension, and wheel alignments. In the case that your vehicle brakes down, we provide a towing/roadside assistance service. Stop by one of our locations today and see why so many people turn to Whalen Tire for their automotive needs. For any questions or concerns contact us by phone at (406)969-4530.